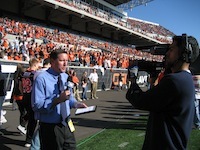 Five-time Emmy Award-winner Jim Watson is a full-time play-by-play announcer, anchor, reporter and host for PAC-12 NETWORKS, NBC SPORTS, UNIVERSAL SPORTS, TIME WARNER, FOX SPORTS NET, ESPN3 and several other national and regional networks. Watson's signature is his versatility. During a career that spans more than 20 years, there is virtually no sport he hasn't called or covered. From Major League Baseball (MLB), to international beach volleyball (FIVB) to college football (NCAA) to Major League Soccer (MLS), to three Olympic Games (IOC) and two Paralympic Games (IPC)-Watson has worked 25 different sports in all. 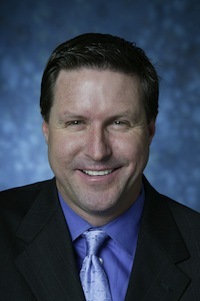 Currently, Watson is a play-by-play announcer for several Pac-12 sports including football, basketball, baseball, volleyball, gymnastics, water polo, track & field, cross-country, tennis, golf, softball and soccer. In addition, Watson was the original host of the Emmy-nominated "Runnin' with the Pac" for its first five seasons. In the summer of 2012 Watson worked his third Olympic Games for NBC Sports. Once again featuring his versatility, Weightlifting and Taekwondo were his third and fourth different Olympic sports. 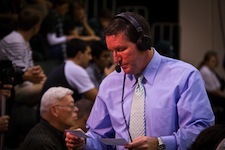 In 2000, he was the play-by-play announcer for the Americans epic Gold Medal upset in Beach Volleyball in Sydney, Australia and in 2004 moved to Indoor Volleyball for the Olympic Games in Athens, Greece. 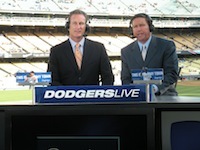 Watson was the pregame and postgame host/reporter for "Dodgers Live" for 15 years; the play-by-play announcer for 3 seasons of the (FIVB) Beach Volleyball World Tour and for five seasons the play-by-play announcer for the Los Angeles Galaxy of Major League Soccer, (MLS). Watson has also called World Championships in six different sports. Including; the World Championships of Rowing, the Snowboardcross World Championships, the World Championships of Beach Volleyball, the (team) Volleyball World Championships, as well as calling both the men's and women's competitions for the Water Polo World Championships. Watson was also at the mic for the World Wrestling Championships, (both Greco-Roman and Freestyle). Watson has added his voice to football, basketball, baseball, beach volleyball, team volleyball, soccer, gymnastics, water polo, swimming, diving, weightlifting, track & field, cross-country, wrestling, skiing, snowboarding, ice hockey, sled hockey, softball, golf, tennis, motocross, taekwondo, trampoline, and rowing. In addition to his work on professional, Olympic and collegiate sports, Watson is the only person ever to have called the football & basketball high school State Championships in California, Oregon and Washington. Watson attended the University of Hawaii, (UH) and the University of Southern California, (USC). He graduated from USC in 1989 with a Bachelor of Arts in Sports Information, (SPIN). He is married and lives with his beautiful wife Shauna and their delightful daughter Roxy near the beach in Santa Monica, California. © Copyright 2014 Jim Watson. All Rights Reserved.